Indian aluminium sector is waking up to a whole new world of opportunities. If the outcome of the recently ended Aero India 2017 is to be believed, then aluminium applications sector surely has some great bandwidth to experiment and grow its business in it, effectively. A look at the consumption pattern of aluminium in India would reveal that the greatest share goes into extrusions making since they serve as the input materials for the manufacture of rods, plates, profiles and tubes that are used in Building & Construction sector- the largest aluminium end user industry in India. There are presently 250 odd active extruders producing a variety of complex extrusions in the country but not too many of them are engaged in the production of high-grade aluminium alloy extrusions. In fact, speciality aluminium alloy production, till date, remains a government-only pursuit where state controlled entities like Hindustan Aeronautics Ltd have to rely on imports to meet their entire requirements. There exists a huge gap between what is produced in India and what is available commercially in the world market. 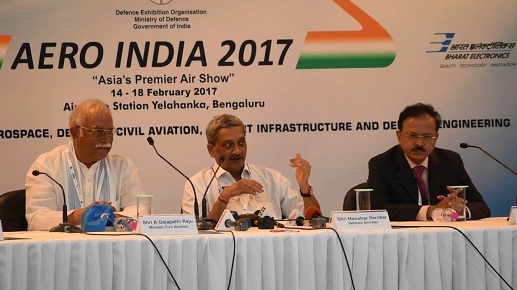 However, with new investments opportunities being created through programmes like ‘Make in India,’ this gap is likely to get narrowed down, and Aero India 11th edition got the ball rolling exactly in that direction. India’s leading aerospace precision engineering and manufacturing company Aequs announced at the recently ended Aero India 2017 in Bengaluru that it will invest INR500 crore for setting up a dedicated facility for Indian defence production at Tuem, Goa. The multi capability manufacturing facility to be set up with an initial investment of INR500 crore, will be a part of the Tuem Electronic System Design and Manufacturing (ESDM) hub. Aequs will manufacture defence aerospace components using composites and high-end alloys of aluminium, titanium, steel and other metals. The operations are expected to commence by February 2019. The company offers forging capabilities through its group company SQuAD Forging India Pvt Ltd. SQuAD specializes in Aerostructural Parts, Landing Gear and Braking System components in aluminium, steel, titanium or nickel base alloys. 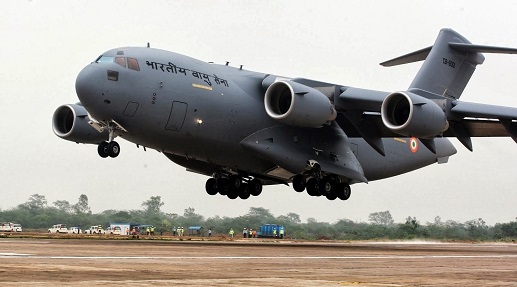 Intech DMLS Limited, a metal 3D printing additive manufacturing establishment in India’s aviation sector, launched its first indigenously developed jet engine series for Unmanned Aerial Vehicles (UAVs) and Remote Controlled (R/C) Aircraft at the event in Bengaluru. The company specializes in making cost-effective, functional components for cabin interiors, engines and turbines, and optimum light weighting solutions using high-end, innovative metal alloys such as Aluminium Magnesium alloy AlSi10Mg. Prior to this, seven Indian corporate houses have ventured into the segment. The last to foray was the Aditya Birla Group. The conglomerate with interests from aluminium and other base metals to telecommunications announced its intentions last year April to form JVs with the US, Israeli and Russian companies to make component parts for aerospace and combat vehicles. The event also saw the Israel Aerospace Industries (IAI) roping in India’s Dynamatic Technologies Ltd (DTL) to jointly tap the Indian UAV (unmanned air vehicles) market. Both companies signed a cooperation agreement regarding the production, assembly and support of mini UAVs in India. The agreement also encompasses the transfer of technology from IAI to DTL to enable the indigenous capability for mini UAV systems. DTL manufactures high quality Non-Ferrous Alloy and Castings for Industrial, Automotive and Aerospace Applications under its partner company Dynametal®. Its Dynamatic-Oldland Aerospace™, India, is a partner of choice for agencies of national importance for the development of exacting Airframe Structures and Precision Aerospace Components. 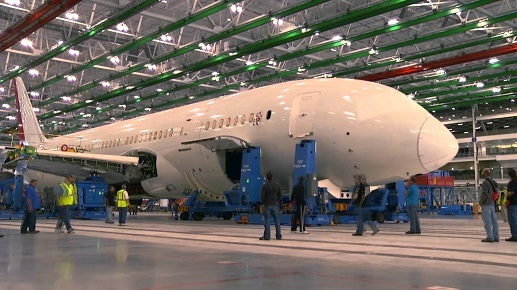 The UK facility, on the other hand, is a certified supplier to international aerospace majors like Airbus UK, Boeing, GKN Aerospace, Magellan Aerospace, GE Aviation Systems, Lockheed Martin etc. IAI also signed a term sheet for a joint venture with Pune-based defence business Kalyani Strategic Systems, at Aero India 2017. Joseph Weiss, president of IAI, sounded bullish on India as he went on to say, “We will transfer technology to build these products for India.” IAI has similar ventures with Tata Advanced Material and Bengaluru-based Alpha Design. Earlier in August 2016, global aircraft manufacturer Boeing awarded a contract for manufacture of titanium machined parts and aluminium assemblies for the 787 Dreamliner and 737 airplanes to Bengaluru-based MSME CIM Tools. The company continues to increase its footprint in India as direct and indirect suppliers and sourcing activities continue to grow rapidly. Both aerospace and defence present interesting opportunities for the Indian aluminium sector. The air traffic growth is robust here, thanks to the growing middle-income group with more disposable income in hands, and ongoing airfare rationalization by the airlines. This is spurring long-term demand for aircraft fleet where aluminium is expected to dominate despite the entry of other substitute materials such as carbon fibre composites. Defence being key strategic area is drawing more attention from the Central Government. The Centre is attempting to boost MSME sector’s contribution towards indigenous manufacturing in defence and aerospace from the present 20-30 to 70 per cent in the next five years under its ambitious ‘Make in India’ programme. Coming to the challenges, there are major technology and infrastructure related constraints in producing aerospace-grade alloys in India. The companies here have achieved some measure of success in producing aerospace-grade aluminium alloy billets and slabs, but that is clearly inadequate keeping in mind the growing requirement for the material. The need of the hour is to establish state-of-the-art facilities with upgraded technologies for advanced manufacturing. As the demand for aerospace alloys in the country grows coupled with decent opportunities for exports, the Indian aluminium sector can seriously think of forging specific cross-border ventures to effectuate faster transfer of technologies. Presently, India imports nearly 60 per cent of its defence manufacturing components. The Government of India is committed to lending support to the country’s MSMEs and work in close association towards import substitution and job creation. Further, with the country’s private sector increasingly being included into defence production, MSMEs can have a wider set of customers to target. Their go-to-market approach needs to be followed up with a clear articulation on what capabilities will support the right execution by them. But as Anurag Garg, Director with PwC’s Strategy& – Aerospace & Defence Leader, says, “…there is no short cut for the same. However, once you are there, you are sorted for at least a decade of margin-rich sustainable business.